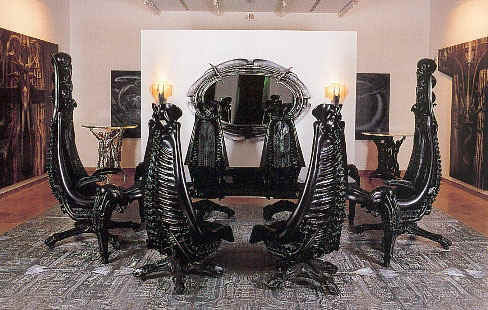 The H.R Giger living room set and incubator you've been dreaming of. Style is written all over this disturbing 3 piece sofa and loveseat with ottoman that opens up to reveal a cozy incubator for your latest alien acquisition. Incubator powered by a small radioactive pellet (sold separately).